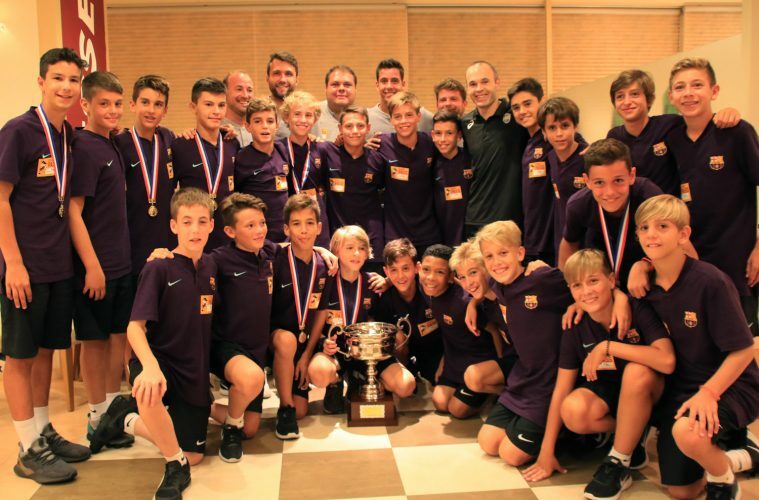 Vissel Kobe midfielder and former Barcelona FC legend Andres Iniesta had a reunion of sorts on August 26 when he met with players from Barcelona’s youth academy, who were in Japan for a junior world soccer tournament. 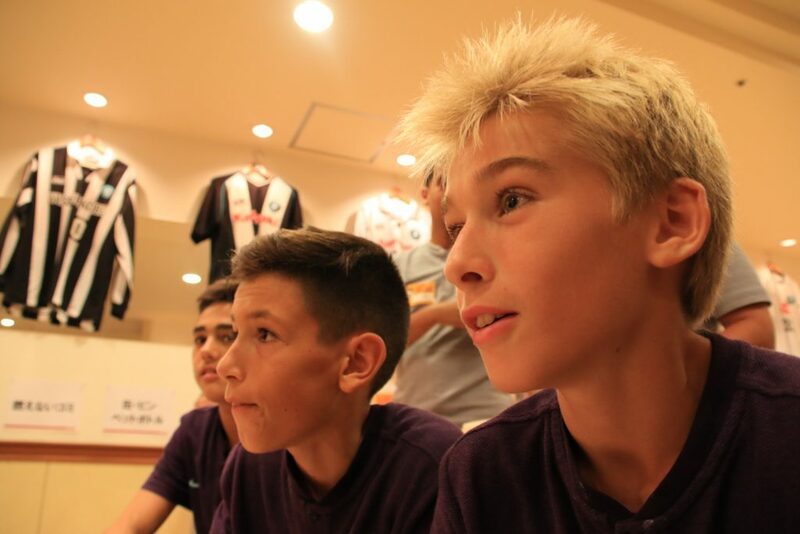 The squad from La Masia, as the Barcelona youth academy is known, came to Vissel Kobe’s home ground to meet Iniesta after Vissel Kobe’s match against Yokohama F Marinos in the J.League. 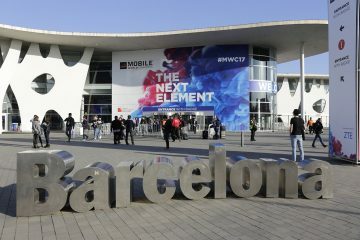 Iniesta, a product of Barcelona’s world-famous youth academy, began his career with the Spanish side at the age of 12. And the rest is history. Iniesta went on to play nearly 700 games for the senior team, winning eight La Liga titles as well as four Champions Leagues. On the world stage, Iniesta was equally effective, helping Spain win their first-ever World Cup by scoring the winning goal at the 2010 tournament in South Africa. Other soccer stars who got their start at La Masia include current Barcelona captain Lionel Messi as well as Pep Guardiola, who went on to manage Barca. 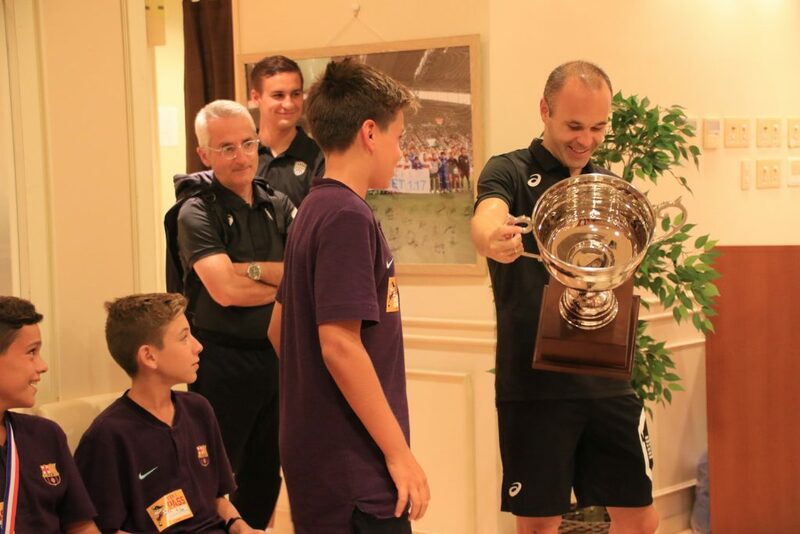 After Sunday evening’s match, Iniesta met with the young Barcelona players, congratulating each one on their victory in the U-12 Junior Soccer World Challenge, a tournament which pits youth teams from around the world against Japan’s top-tier youth sides. 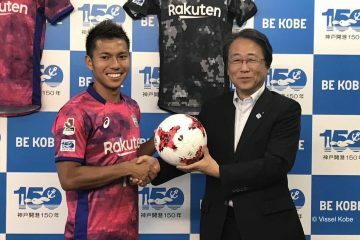 Barcelona’s youth side were paired with Vissel Kobe in the group stages, beating them one goal to nil. Ultimately, the Spanish side went onto clinch the tournament for the fourth time. 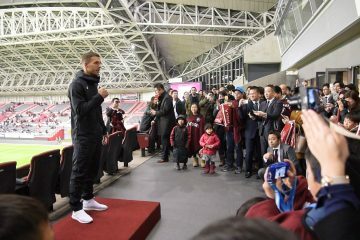 At the post-match reception with Iniesta, at Vissel Kobe’s home ground, the Barcelona side proudly showed Iniesta their winning silverware, presenting him with the cup. Afterwards, Iniesta huddled with the youth academy players for a group photo and chatted in Spanish with the youngsters who were clearly delighted to meet with an idol who started out exactly where they did 22 years previously. 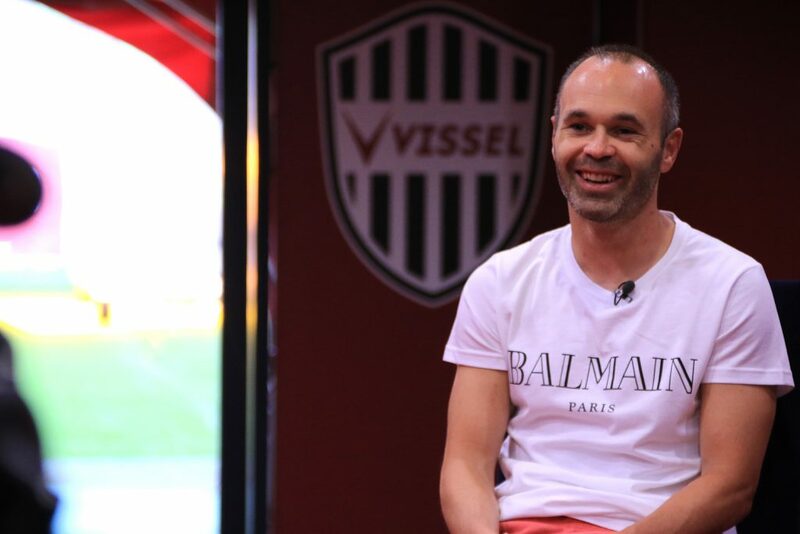 In May of 2018, in a move that made global headlines, Iniesta joined Vissel Kobe. Since joining the club, the dynamic midfielder has been a key figure for the J1 squad, netting two goals since his arrival and helping his side move up the league table. 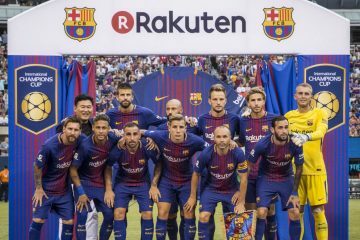 In an interview with Barca TV on August 24, Iniesta commented that the support he has received from the players and staff at Vissel Kobe has been instrumental to settling in. “Since the very first day, I have felt very comfortable,” he added. 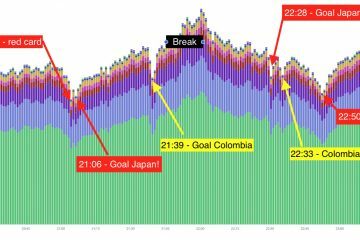 Although Iniesta is only six games into his playing career at Vissel Kobe, he’s been quick to catch on to the rhythm and pace of the game in the J1. “It’s a league where you feel that any opponent, even those in the bottom half of the table, can come to your home ground and beat you,” Iniesta said. 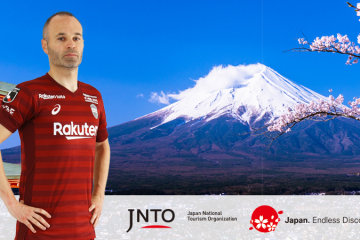 Iniesta and Vissel Kobe are aiming for a top three finish and a route into the Asian Champion’s League, which would be a first for Vissel Kobe. Currently Vissel Kobe lie in fifth position in the J1 League, five points adrift of third-placed FC Tokyo. The former Barcelona captain said he also keeps a close eye on how Barcelona are progressing. His former team are two wins for two in La Liga which got underway this month. 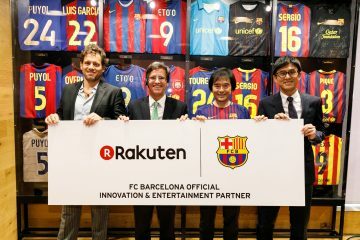 Speaking about his new life in Japan, Iniesta said he is enjoying the differences – from moving around the house in bare feet, to trying new foods, and getting used to the language. 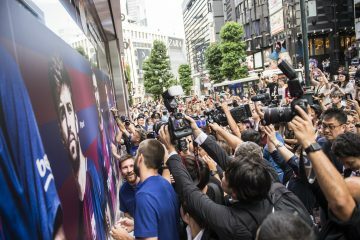 Iniesta also singled out the fastidious attention to detail and careful planning that typifies life in Japan.